Olentangy’s Sean Marks soars to the hoop during a game against Westerville North earlier this season. The junior finished the year with school records in points (541) and free-throw percentage (90.9 percent). Sean Marks’ stellar junior season was highlighted by school records in points (541) and free-throw percentage (90.9 percent) – knocking down 160 out of his 176 attempts from the charity stripe. 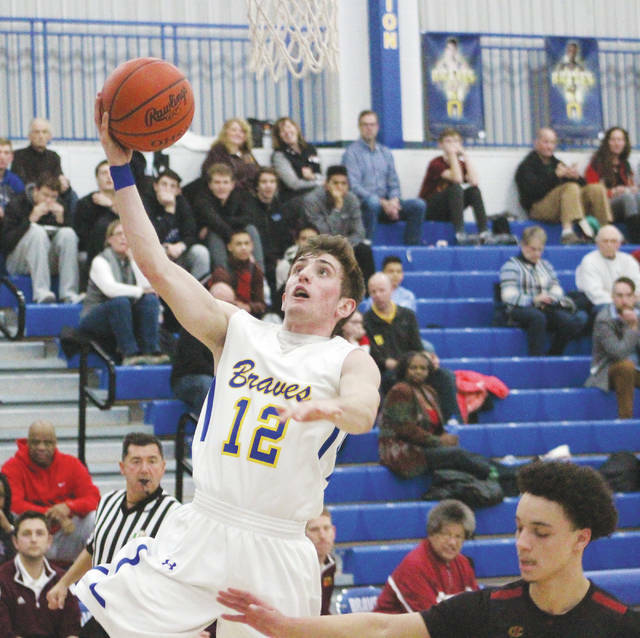 Marks was particularly brilliant down the stretch when Olentangy won six of its final seven games, averaging 25.4 games, including a career-high 40 in the Feb. 9 double-overtime victory over rival Olentangy Orange. Third-year Big Walnut coach Brett Bartlett finally got his smile back this season. The Golden Eagles won 10 games – two more than they had in the last two years combined. BW had three different three-game winning streaks throughout the season – helping it to a 10-13 overall record and 5-5 mark in the OCC-Capital to finish in a three-way tie for second with Canal Winchester and Groveport-Madison. https://www.delgazette.com/wp-content/uploads/sites/40/2018/03/web1_markshoops.jpgOlentangy’s Sean Marks soars to the hoop during a game against Westerville North earlier this season. The junior finished the year with school records in points (541) and free-throw percentage (90.9 percent).